The Stage Mini introduces a diver to the use of a stage bottle. 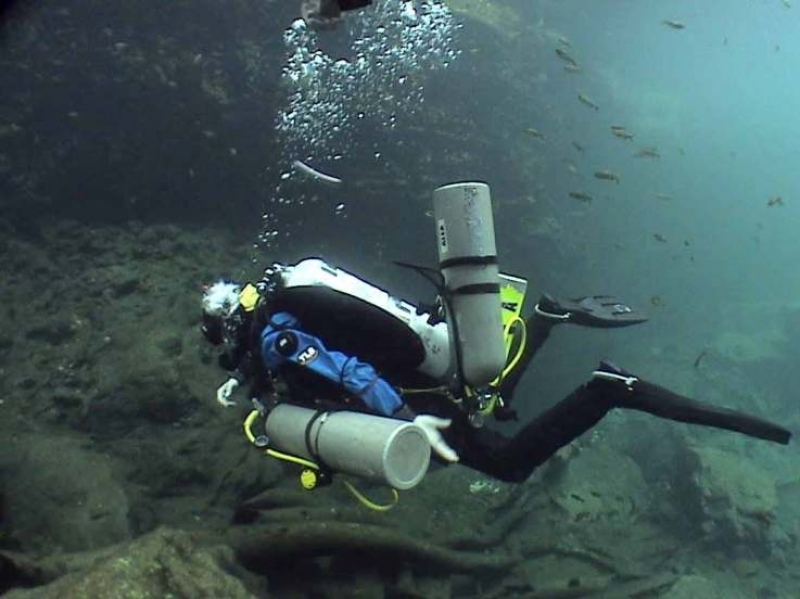 Proper handling of stage bottles during a dive is critical so the diver will develop the skills necessary to use a stage bottle to extend their range. This class presumes the student has completed at least one of the following courses: Technical 1, Cave 2, Wreck Penetration 1, or equivalent. Specifically, this class is designed for someone who wants to extend their bottom gas using a stage bottle and only needs the stage bottle specific material from a technical or overhead course. This class requires a minimum of 4 hours of academics, 2 hours of dry runs, and at least 2 in-water skills dives. Additional training and dives are at the discretion of the instructor. The class focuses on cultivating the proper use of a stage to including rigging, gas management with a stage bottle, gas switching, bottle passing, and emergency procedures involving the stage. Prior to the commencement of the class, students should consult with a UTD representative to verify equipment requirements. All participants are responsible for providing all equipment or for making provisions to secure all necessary equipment before the start of the class.